Do you need some time to unwind and relax? Million Little invites you to experience the joy of creativity & mindfulness. Feel free to invite a friend, enjoy a mindfulness session and paint “Million Little Canvases” with us! 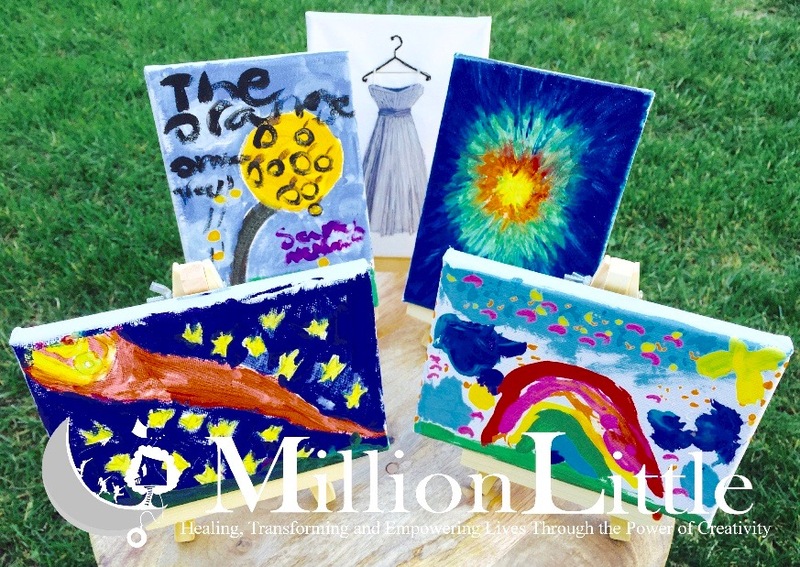 “Million Little Canvases” is our campaign to support the healing process of at-risk children through creative arts and mindfulness programs. Each canvas represents a voice and an opportunity. Our goal is to create ONE MILLION CANVASES together to empower children and adults in our community. By creating this canvas you will be a part of the one million canvases and making a difference in someone’s life. We will also have various gift baskets for raffle, and you are welcome to bring your favorite dessert to share with everyone. Please spread the word and join us at this event, experience mindfulness, paint our 5”x7” canvas, have fun while knowing that you are making a difference in the lives of critically at-risk teens. 100% of the Million Little profit from this event will go toward our programs serving incarcerated teen girls at juvenile detention camp located in Santa Clarita. Million Little, a 501(c)3 nonprofit organization.